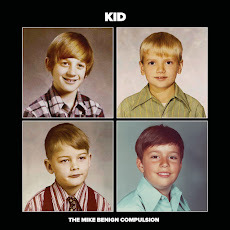 The Mike Benign Compulsion: Introducing the Video for "My Michelle"
Introducing the Video for "My Michelle"
Just released: the official video for "My Michelle" from The Mike Benign Compulsion's Martha LP. The vid was filmed by camera lord Robb Fischer with Mike Krieger on second camera at the Compulsion's Milwaukee Summerfest show on July 8, 2012. Martha is available for purchase at iTunes (digital download only), Amazon (digital only), Bandcamp (digital only) and CDBaby (digital or hard copy).